Hi my readers and friends! How are you all doing? I hope very well. 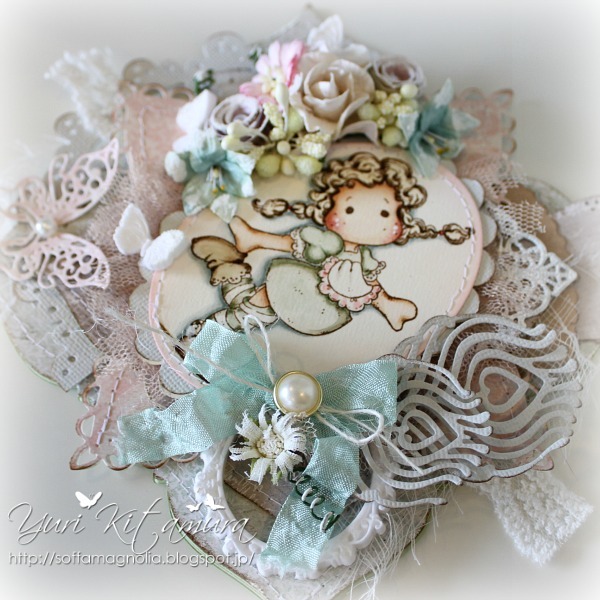 I've made a card using a new Magnolia Tilda Long Stocking from the Newest Once Upon a Time collection 2013. The image is stamped with Archival Ink coffee on watercolor paper(Mat Thunders - Muse) and coloured with Distress markers and Distress ink pads as always. The gorgeous Peacock Feathers dies are also Magnolia's same line. 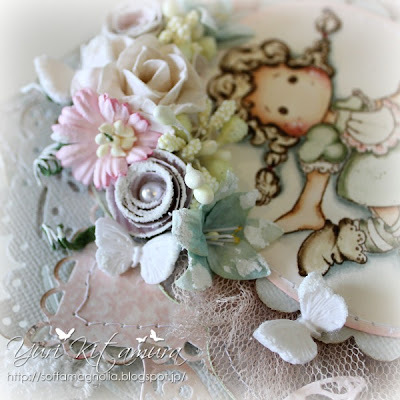 Stamps: Tilda Long Stocking - Magnolia. Die: DooHickeys Peacock Feathers, Tildaticket, Tilda Doily - Magnolia, LES PAPILLION2 - Spellbinders, Anja's squares - Marianne Design Creatables, Large Frame Frilly #7 - GoKreate. 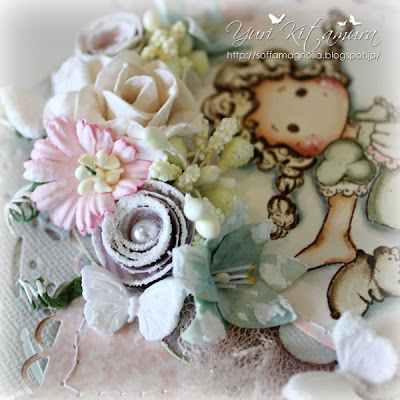 Embellishment: Vintage Lily Paper Flowers, Berries, Half pearls - Magnolia, Ribbon, Flowers and Metal corner - WOC, Chrysanthemums - Kort & Godt. Patterned paper: Maja Design, etc. Thank you so much for visiting my blog, and for the sweet comments you take the time to write me. Have a great day! Omg, this is absolutely amazing Yuri!! WOW! The details are just INCREDIBLE! I could look at this masterpiece forever, it's so beautiful! What a gorgeous sweet card Yuri. I love the soft colours and the colouring of the cute stamp is just fantastic. WOW Yuri... This is just amazing!!!! Fabulous design and colours! I love it! Wow Yuri this is Stunning I love everything about it!!!! Amazing card! I love it so much! Wonderful and so many details, don't know what to say! Thanks for jpining us at Tilda's Town! Yuri, this is GORGEOUS!!! Love it! Thanks for joining us at Tilda's Town this week. 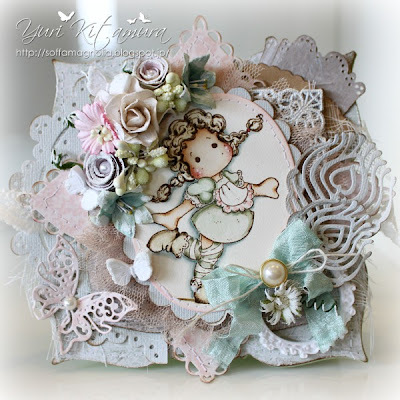 This is absolutely stunning Yuri, right from the beginning you've always made the most beautiful cards and creations. Wow, it is a gem! So richly decorated.I really like your card.